My friend Will at USCFSales has been getting hit with this question a fair little bit lately: “I just bought a ChessBase-format eBook from USCFSales. How do I open and read it using Fritz12?” So I’ve decided to write it up today to hopefully clarify this point for our customers. 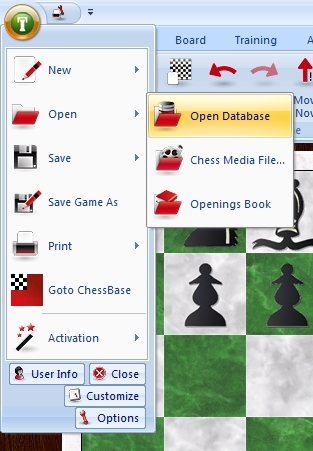 2 – Open the Application menu (by clicking on the green button in the screen’s upper left-hand corner), select “Open”, and then “Open database”. 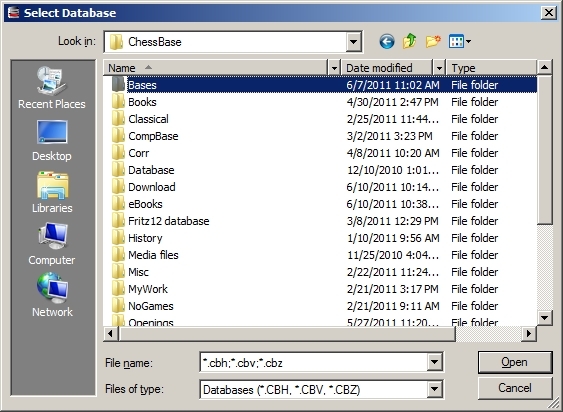 Boring, but necessary, technical detail: You may note that the filename ends in .CBV – this is a special compressed file which actually contains the multiple files (as many as twenty or more) which make up a ChessBase-format database. 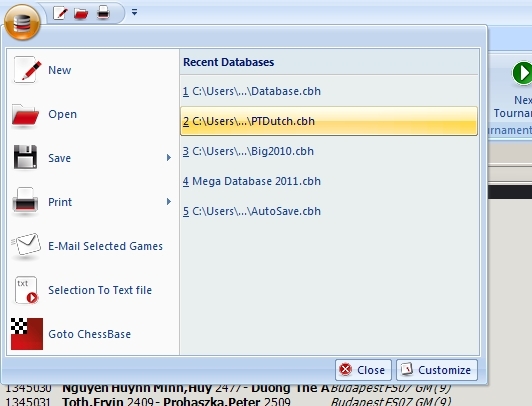 When you open this CBV file it will expand into these many multiple files. This is why I recommend that you DON’T save an eBook download onto your Windows desktop and instead save it into a specific folder of your choice; otherwise you’ll have a Windows desktop crowded full of icons when the CBV file uncompresses. 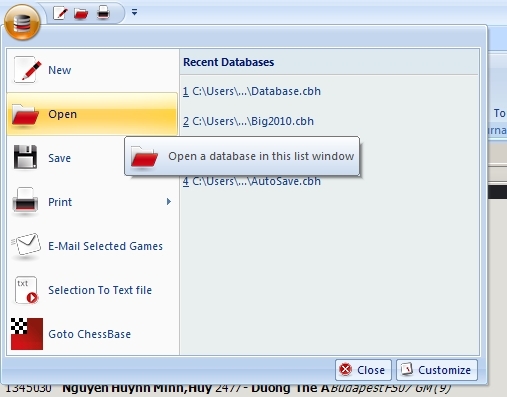 2 – Double-click the filename (which will open it immediately). 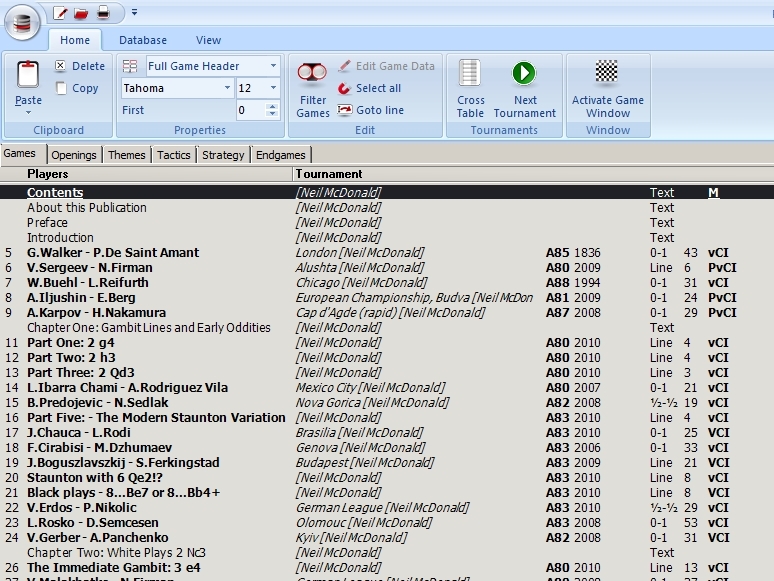 Note that games are listed in bold face while texts are shown in a normal typeface. With most ChessBase-format eBooks you’ll begin by reading the text files; these will typically contain links to the games. You’ll read some of the text, play through a game, close the game, read more of the text, play through another game, and so on. 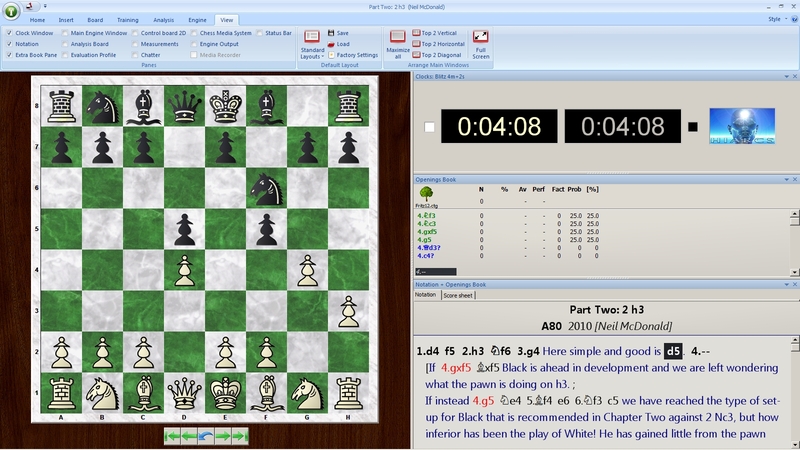 USCFSales offers chess eBooks on a wide range of topics, most of which are in ChessBase format and are thus readable in ChessBase 11 and the various playing programs which ChessBase produces (Fritz12, Rybka4, etc. ).